Regular eye exams are important at any age but for seniors, eye health and vision care are especially important. Optometrists recommend that Americans 40 and older schedule an annual eye exam to help catch common eye health conditions early on. In fact, depending on the quality of your eyesight and other certain factors, it may be important to get your eyesight examined more often. In addition to keeping up with your regular eye exam appointments, there are certain warning signs that every senior should be aware of. 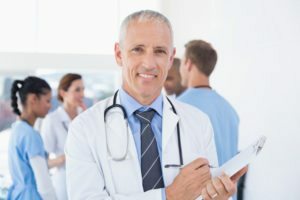 With proper education, you can easily identify which symptoms are part of the regular aging process and what kind of issues may indicate a more serious problem. The occasional eye discomfort is typically not something to worry about. But if you are struggling with dry, scratchy eyes regularly, there could be a bigger problem at hand. Tearing, scratchy and painful eyes are symptoms of dry eye syndrome. While this is often more of a nuisance than a vision-threatening condition, it can have a negative effect on your quality of life. Severe dry eye syndrome is common as we age because the body stops producing high quantities of tears as the body chemistry changes. Luckily, there are many over-the-counter and prescription solutions available that can help. Typically, floaters in the field of vision are caused by a benign, age-related condition known as vitreous detachment. This condition occurs when the gel-like interior of the eye begins to liquefy and separate from the retina. 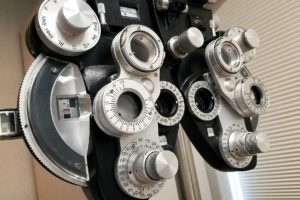 However, if you notice that floaters or spots are interrupting your vision at a very sudden rate, you could be experiencing a serious retinal tear or detachment. There are a wide variety of eye conditions that can cause double or “ghost” vision in seniors. But there are cases where double vision may signal other underlying health emergencies, like a stroke. If you suddenly experience double vision, it is important to see your primary care physician or eye doctor as soon as possible. In seniors over the age of 60, the chance of developing a macular hole in the retina increases over time. Macular holes can affect fine focusing and if they worsen without treatment, they can cause a permanent loss of vision. Cataracts are one of the most common vision issues for Americans over the age of 40, with more than 24.5 million people living with them today. Cataracts are characterized by an opaque or cloudy area in the lens of the eye that interferes with normal vision. Some of the most common symptoms of cataracts include blurry or hazy vision, difficulty seeing at night, reduced sensitivity to colors and an increasing sensitivity to glares. If you have noticed that you have gradually been struggling to see objects clearly, you could be experiencing the early warning signs of age-related macular degeneration or AMD. AMD is currently the leading cause of vision loss for Americans over the age of 50. 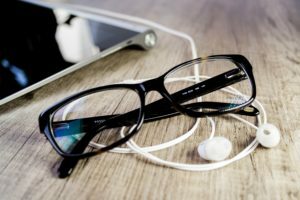 This common eye health issue typically includes symptoms like a loss of clear vision, a dark or “empty” area in the center of your field of vision and a distortion of shapes and objects. Glaucoma is the second-leading cause of total vision loss in the U.S. and may present in senior patients as a reduction in the ability to see objects on either side of your field of vision. If you’ve noticed that you’ve been struggling with a narrowing field of vision, it is important to get your eyes checked. If left untreated, your peripheral vision could worsen and eventually lead to tunnel vision or blindness. In addition to regular eye exams with your optometrist, there are a variety of different ways that you can help to prevent serious eye conditions as you grow older. Maintaining a healthy diet that is full of lots of leafy greens is one easy way to help lower your blood pressure and prevent or keep diabetes under control. Eye vitamins may also help in the fight to avoid certain vision problems, so be sure to discuss the possibility of adding them to your daily routine with your eye doctor. Our friendly and knowledgeable team at The Cypress of Charlotte is always here to ensure our continuing care retirement community members have the tools they need to live a healthy and happy lifestyle in their senior years. For more health and lifestyle tips or to schedule a tour of our beautiful community, be sure to visit us online today!